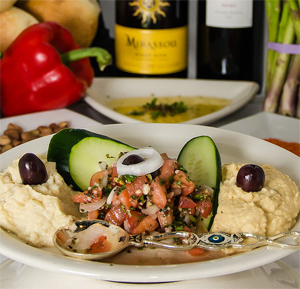 At Zorba’s, we serve the absolute best in Greek & Italian cuisine at our home in Richmond, Virginia. Since 1990, our satisfied customers have enjoyed recipes created with Zorba’s own homemade style using the freshest ingredients. You may have tried Greek & Italian with the rest, now try the Best! Everyday we are committed to keep you coming back for more. Thank you for your patronage from the Zorba’s Family! Want to always be in touch with us? Join us on Facebook. Eat Greek Once a Week!